Islam Around Us: 100 die as Iraq forces battle Al Qaeda. Over 100 die as Iraq forces battle Al Qaeda. 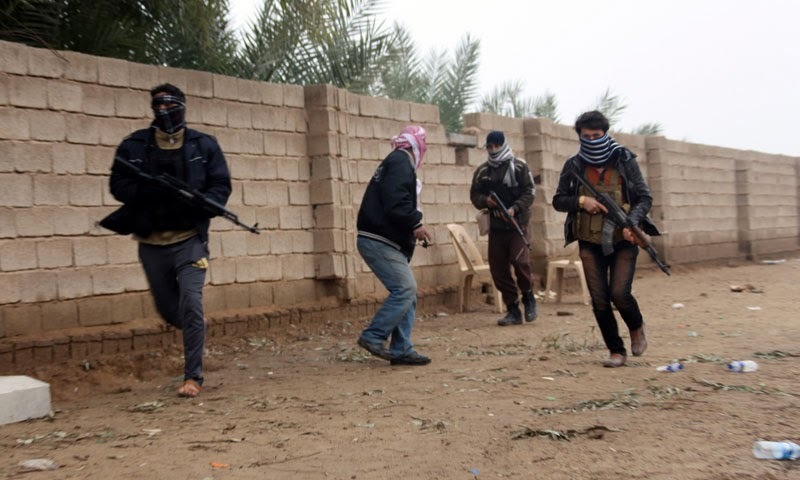 RAMADI | AFP | Iraq | 05 Jan 2014 :: More than 100 people were killed on Friday as Iraqi police and tribesmen battled Al Qaeda-linked militants who took over parts of two Anbar provincial cities, announcing one an Islamic state. Parts of Ramadi and Fallujah, west of Baghdad, have been held by militants for days, harkening back to the years after the 2003 US-led invasion when both cities were insurgent strongholds. Fighting began in the Ramadi area on Monday, when security forces removed the main anti-government protest camp set up after demonstrations broke out in late 2012 against what Sunni Arabs say is the targeting of their community. Anger at the government among the Sunni minority is seen as one of the main drivers of the worst violence to hit Iraq in five years. Police and tribesmen fought in Ramadi and Fallujah on Friday against militants from Al Qaeda-linked group the Islamic State of Iraq and the Levant (ISIL), which operates in Iraq and Syria, security officials said. At least 32 civilians and 71 ISIL fighters died in the clashes, the officials said, adding that they did not know how many police and tribesmen were killed.